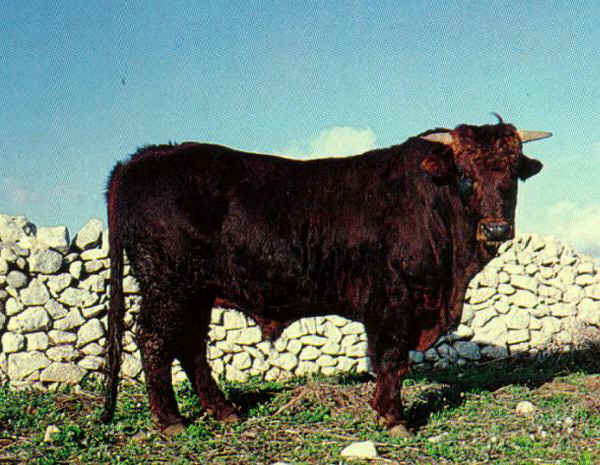 A uniform dark red coat shading from the black of the bull to the golden red of the cow. Black shades particularly in the front or external sides of the thighs. Black tail tuft. The male has a darker coat, dark red wide muzzle with dark black nostrils. Black hoofs. Yellowish horns at the basis and black at the tips. 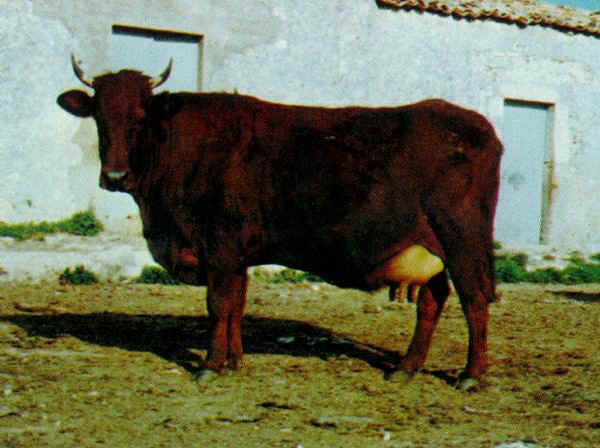 Large udders with long big teats. Moderate size and height, a very sharp figure but very solid skeleton. Very good working characteristics, quite good for milk production (considering the extremely poor diet). Milk production is about 18-22 kg. per day in a lactation of 200-220 days, with a fat percentage of 4%. Quite poor for meat. 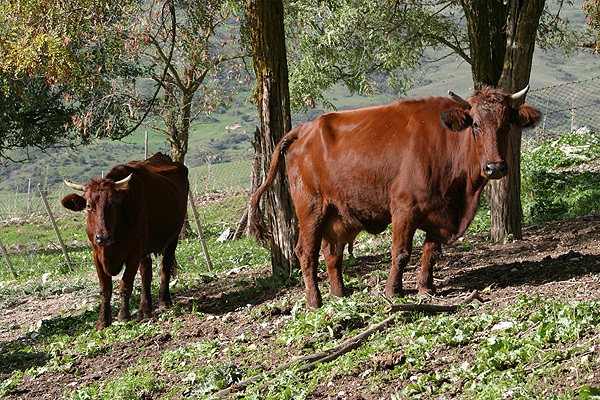 It used to be bred for labour (limbs and hoofs are very strong), today it is bred for milk, with which some typical cheeses are made (Caciocavallo and Ragusano).